This wall-hanging is perfect for Halloween… or any time of year that you might need to remember the magic inside us all. 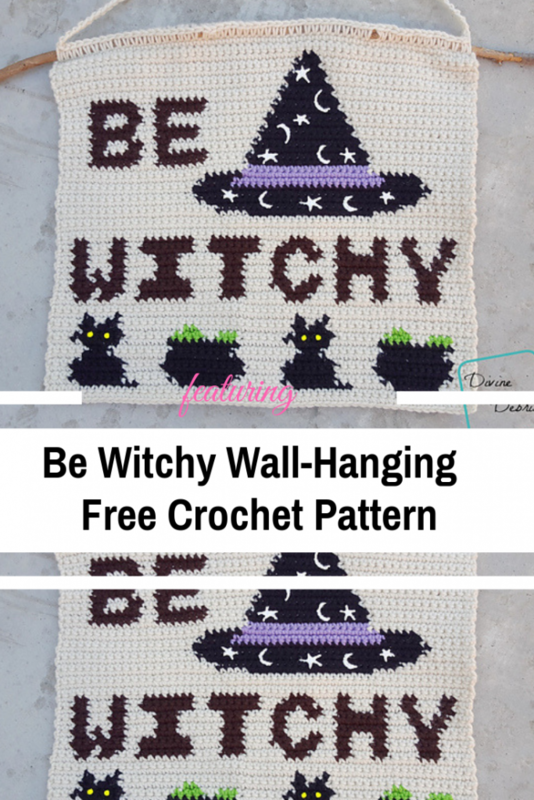 Be Witchy Wall-Hanging free crochet pattern by DivineDebris.com makes a wonderful, cute and maybe scary wall decoration and would also make a fantastic bag, for trick or treating. Give yourself or someone you love a reminder to be powerful, be scary, and not to back down. Remember kindness isn’t just about letting people walk all over you, it’s about being the best witch you can be. 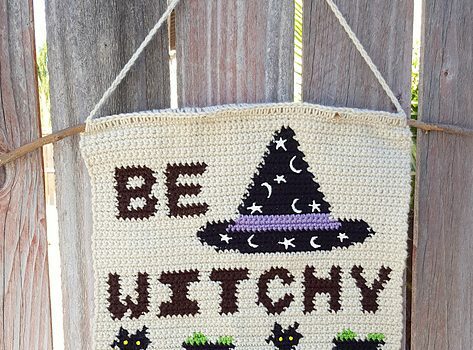 Check out the Be Witchy Crochet Wall Hanging Free Pattern with all the directions and full written patterns at: Divine Debris. How To Turn The Crochet African Flower Into A Square!